Who among us hasn't at some point or another, wanted to be gifted with: telepathy, telekinesis, or teleportation? Since we aren't, it's better than nothing to live as if we did, through the eyes of the characters. Personally, I'm most interested in teleportation… no more worrying about the embarrassment of being my age and not having a license! I could be anywhere in the blink of an eye! Yes. Please. As a writer, complex characters really fascinate me. And boy, does this guy have a lot of issues to go through! But it's neat, because all that rough stuff in his past, and all they face now… it doesn't take away his concern for others. He still fights for what's right for all (to the best of his abilities and knowledge), is gentle with people that are hurting, and all of this while he's still in the midst of his own stuff. He's been a great model for one of my characters… I had already seen my character as being like this, but couldn't form an explanation or reasoning as to the why he did what he did, until I saw this show, and character. So, if for nothing else, on my end… it helped me with my writing. His devotion to his family, is what made me like this character. Despite all that's going on, as a new breakout (as the show calls it), he's still looking after his kid brother… worried for his mom, and searching for his dad. All while working for his uncle… who is complicated and has motivations that you can't always read. The dude is just funny… any time things get tense, he's always there to lighten the mood. • John. As much as I like Stephen, John was the real star of the show for me. He had a more complex, interesting history, he managed to be kind with the weight of the world on his shoulders, and he somehow manages to make me feel both attracted and maternal. "You darling puppy dog, come here and I will kiss you." • It was a CW show, so we expected a love triangle - but we expected it to be Stephen/Cara/Astrid, not Cara/John/Astrid. It was predictably a love triangle, but those involved were unpredictable - and John/Astrid remain one of my strongest, doomed OTPs. • Mark Pellegrino, in anything, is brilliant. His acting is so nuanced that you literally never know - is he the good guy? Is he the bad guy? Is he both? Is he neither? Is there some angle we haven't yet noticed? His performance is always smashing. • Superpowers. 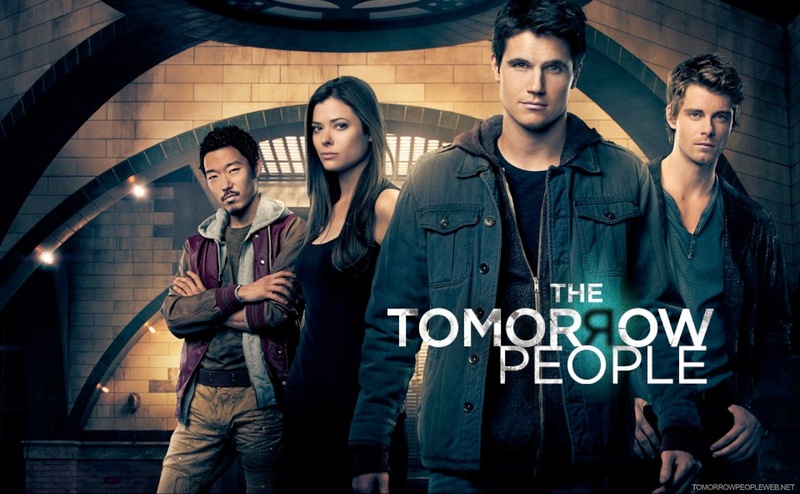 I mean, come on - from X-Men to Inhumans (wink wink, Luke Mitchell) to the Tomorrow People, the idea of 'enhanced' people is always just fun. • Stephen's mom. Other than in Teen Wolf, there aren't many awesome parents on television - especially YA television. Stephen's Mom is an exception - she kicks some major gluteus maximus and proves that yes, even tv moms can be epic. She and Melissa McCall would get along really well, I think. • It had Carmen from Spy Kids. I mean, c'mon. • THE FINALE. HOW COULD THEY LEAVE US THERE? At least it's a great opening for fanfiction - or at the very least, theorizing. I'll never be over the cancellation. Not ever. Please read and learn. Thank you.